Whether you’re taking your Harley and heading across country or just out for a short cruise, we want you to be safe on the roads. 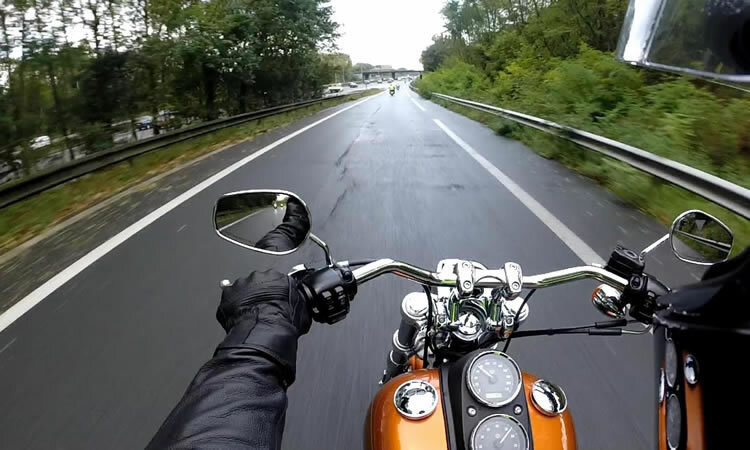 No one’s too old to wear a helmet: A motorcycle rider not wearing a helmet is forty percent more likely to sustain a fatal head injury in a crash than a rider with a helmet. Buy a full-face helmet for the best protection for your head and eyes. Wear other protective gear as well- heavy leather or synthetic gloves, long pants and jacket, and over-the-ankle leather boots. In a crash, the SUV wins: When cars and motorcycles collide, it’s usually because the driver of the car failed to see the cyclist. With more SUVs on the road, it’s even more critical to take extra steps to become more visible. Use your headlamps—both night and day—and wear yellow, red or orange jackets to make yourself easy to see. Make a point of positioning yourself in your lane for visibility. Savings: Some insurance companies offer discounts to riders who attend the Motorcycle Safety Foundation’s safe riding courses or are active in approved groups that promote safe riding. Do both those things and you can reduce your premium. Update your policy: Some companies offer special coverage for custom parts and equipment—but you may have to list each piece of equipment on your policy. Any time you make changes to your bike,call your agent to get your coverages updated before you head out on the highway. Reach out to your agent if you have any questions on your coverage’s. Now hop on that bike and hit the open road.